Pinehome was ready to add a new male to our household. Whindancer Kennels entrusted us with this very special boy who has done incredible in the show ring here in Canada. Thankyou to his breeders. Below, Aiden stacked at 8 weeks old and then stacked again, winning Best Puppy at nine months old. 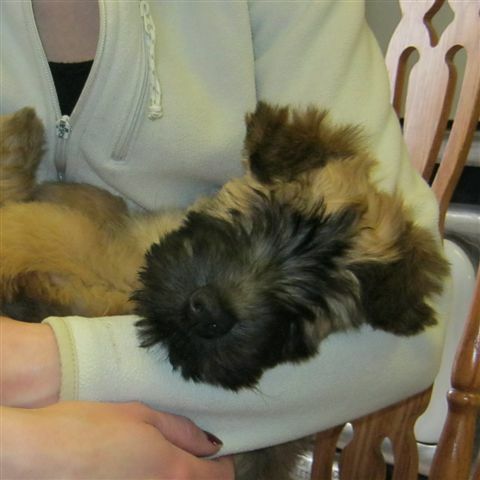 He has been a real 'snuggle bunny' from the time he joined us and has a wonderful temperament. He works his way in to the heart of everyone who seems him. Thankyou to all the judges who recognized Aiden's special qualities. He obtained his Canadian Championship points from International judges from the United States, Argentina and France. 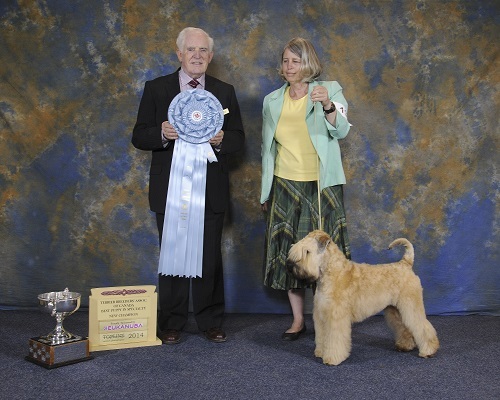 An extra special award came from Judge Harry O'Donoghue of Ireland who recognized Aiden as the Best Puppy in the 2014 National Terrier Breeders Specialty (below). 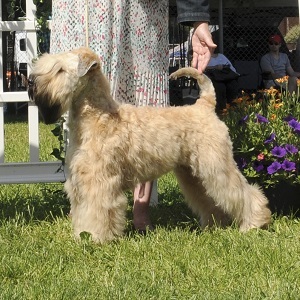 Aiden continued his winning ways under Canadian judges and is now a Canadian Grand Champion (GCH). 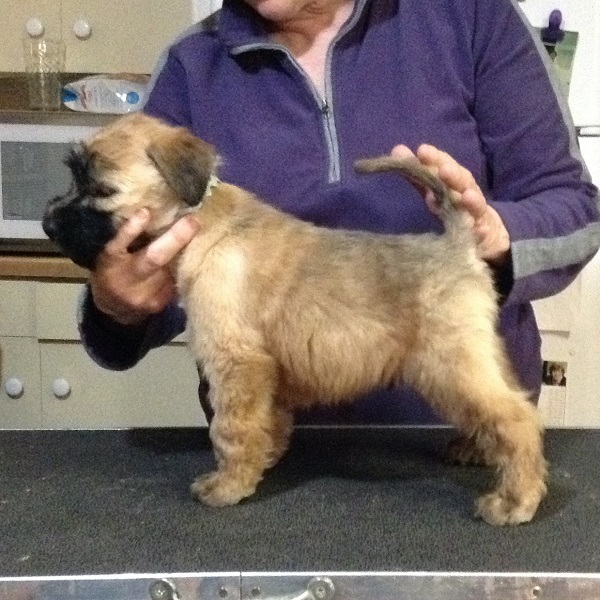 Mil Mear, Geragold, Choroschie, Wheaten Rebel, Soldiersong, Ellora, Honeylee and Windisle. Thankyou for trusting us with this wonderful boy.